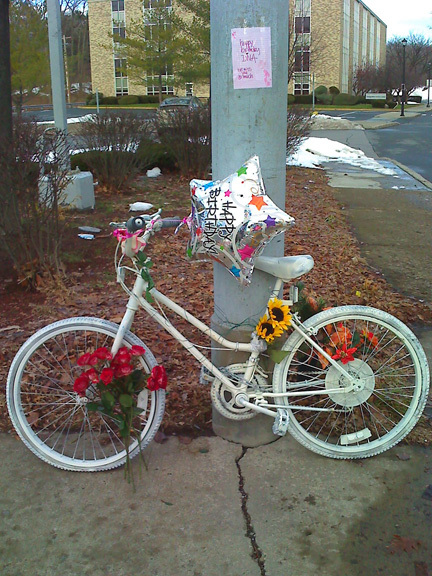 Almost one year ago, Diva de Loayza was mowed down while riding her bicycle on Western Avenue. Her killer was a woman rushing to work at the University at Albany, and the murder weapon was a minivan. Diva was hit so hard that she and her bicycle were sent sprawling way up the pavement of a side street called University Place. Thanks to an information blackout by the Albany Police, the killer’s name is still being concealed. In fact, the police basically exonerated the killer at the scene of the crime and pointedly refused to do an investigation. Sad to say, such suburban oriented prejudice against bicyclists and pedestrians is standard policy for the Albany Police. Now another interesting detail has emerged. You see, this past autumn certain persons who shall remain mysterious placed a memorial to Diva’s killing at the intersection of Western Avenue and University Place. 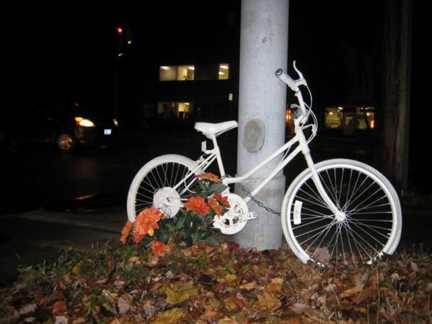 This is a “ghost bike,” an old bicycle painted white and chained to a nearby pole as a remembrance to a bicyclist who was robbed of life by an automobile driver. You can find all too many of these ghost bikes scattered around Albany and in the surrounding suburbs. They are often noted and respected as shrines by the public at large. Strange to say the authorities have so far tolerated these reminders of their own failure to police the roadways properly. The ghost bikes have even been mentioned in the local corporate media. It seems that Diva’s killer still works at University at Albany. Every single work day she drives down Western Avenue from suburban Guilderland where she lives and makes that same fatal left hand turn at University Place. The nameless killer is upset by the ghost bike chained to the metal pole, and wishes that she didn’t have to see this reminder of her deed every weekday morning. As I said, I have respect for the person who made this appeal, so I forcibly stopped myself from launching into a round of scathing sarcasm in response. This person clearly is sincerely concerned about the woman who is responsible, so he/she can only be commended for his/her concern. I would like to thank this person for letting all of us know that right now there is another side to the story. But others present agreed with the person who made the appeal, that it is mean spirited and unproductive to constantly remind Diva’s killer of something that is done and past. Is Diva’s ghost bike an evil apparition? Should we all forget about her death and move on? After all, Diva’s killer was not charged with any crime by the authorities, and we can plausibly surmise that she was told by the police that it was not her fault that Diva was mowed down. It was just a traffic accident. Stuff like this happens all the time to pedestrians and bicycle riders, don’t worry about it. The problem with this conundrum is that there has been no public examination of the facts. Diva’s killer may very well have been alert and traveling at a safe speed when she made contact, but that appears unlikely to me. Perhaps Diva barreled in front of the oncoming minivan and got her just desserts. Such things do happen. Many years ago while driving I saw a well-dressed fellow leap into heavy traffic and lay down on the pavement,. This happened inside the South Swan tunnel underneath Rockefeller Plaza. Several autos collided, and I bumped the rear of the car in front of me. The fellow, who was unhurt, turned out to be quite scrambled in the head, he was unable to explain why he did what he did. Diva was not nuts like that guy, she was a sharp and successful business woman. Perhaps she was tired and had a moment of inattention just like her killer apparently had. But as I’ve explained elsewhere, Diva may very well have been fooled into thinking that it was safe to cross the intersection. Almost without question it was the City of Albany that lured Diva to her death. And it was the City of Albany that encouraged Diva’s suburbanite killer to careen through that stoplight and take her life. Diva was traveling West away from Albany on the Western Avenue sidewalk. Biking on the sidewalk is illegal in New York State, both the police and the media presented this fact as a clear justification for Diva’s killing. But folks, I still see Albany police officers in full uniform bicycling on sidewalks, so I fail to see why this fact damns Diva and exonerates her killer. Because there was no investigation, we don’t know for sure what happened exactly. But we can be reasonably sure that as Diva approached University Place, she glanced up at the traffic light facing East on Western Avenue and saw that it was red. She probably also glanced to her left and noted the auto traffic facing that red light was stopped. But there was no way for Diva to know that the traffic light facing West, away from her, was green. It’s called a staggered stoplight. So here came Diva’s killer from the West in her minivan. She careened left around the corner, probably trying to beat the green light before it changed. If this is how the incident happened, and it appears extremely likely it happened that way, then we can conclude that Diva would not have died that day if the City of Albany had not installed a staggered light at that intersection. Well, stuff happens, mistakes are made, we learn and we correct our dangerous intersections. Right? Not the City of Albany, that’s for sure. Nothing was done to make the crossing safer, and in November a pedestrian was struck and killed at the very same intersection. Again, we have only the barest of details. The victim was a fellow named Betz, and apparently he had been drinking, although we don’t know how much. And again, this was presented by the police and the media as justification for his death. And no, Mr. Betz’s killer was not charged. Police said Betz might have been intoxicated when he walked in front of a Jeep Liberty driven by Ryan Sharter, 21, of Albany. The driver had the green light, but Betz apparently disregarded the pedestrian signal. What pedestrian signal? There aren’t even crosswalks painted on the pavement. How could the hapless Mr. Betz possibly know that he was strolling into a proven deadly booby trap? Is Channel Nine simply repeating misinformation given out by the police, or is this a deliberate lie on their part? At least we were told the name of Mr. Betz’s killer, so that’s something. Yet to this very day, the City has not done one single thing to improve the safety of this intersection, no pedestrian signals, no designated crosswalks, no nothing. It sure seems like the City wants pedestrians and bicyclists to die at this intersection. One thing I can say with absolutely certainty. The City officials do not care if anyone else dies at this intersection. You see, I got a chance to bring all this up with both Mayor Jerry Jennings and Police Chief Tuffey at the February 6 Council of Albany Neighborhood Associations (CANA) meeting. Why, I asked them, hasn’t the City taken steps to prevent any more deaths at this location? The Mayor was clearly caught off guard. He responded with a run of politician’s boilerplate, something about traffic planning initiatives that take a look at the whole area. But Chief Tuffey, asked by The Mayor to help him out, made it clear that he considered Mr. Betz to be at fault for his own death because he was intoxicated. Mp3 link, February 6 CANA meeting, about 3 minutes long. Was Diva’s killer paying attention, or was she chattering on her cell phone at the moment of impact? Was she listening intently to the radio, shuffling around stuff inside her minivan, or gazing wistfully at something in another direction? Assuming the impact was not done deliberately, all we know is that she didn’t see Diva or her bicycle until it was much too late. We are told by the police that Diva’s killer was not intoxicated. For some reason, many people seem to think that if her killer had been drinking, and all other circumstances were the same, then the incident would have been the driver’s fault. I know this is an unpopular opinion, but personally I think that whether or not anybody involved in these two deaths was drinking is at most a secondary consideration. The two primary crimes is that automobiles careen through this intersection without consideration to unprotected human beings, and that the City government through bad planning encourages automobile drivers to kill. Diva’s ghost bike serves a triple function. It is a statement against official policy that effectively encourages automobile drivers to kill the citizens of Albany. City Hall, the police and the media may be working together to keep bicycle and pedestrian killings out of the public consciousness, but the white bikes defeat this plan. And her ghost bike serves as a public condemnation of the manner of Diva’s death. The authorities have failed to examine her killing fairly and publicly as they should have. They have not done their job. Therefore, members of the public have stepped into the vacuum to pass judgment. This how it should be. Shouldering government functions by the citizens in the absence of effective leadership is as American as apple pie. And if the authorities don’t like that, then they can straighten up and start doing their jobs. And finally but certainly not least, the ghost bike is a simple memorial to Diva herself, a vibrant woman with many friends who refuse to forget about her, a marker where her life ended abruptly. If for no other reason, her bike should remain exactly where it is. Some good points are raised in this piece, but the writing is so one-sided and inflammatory that the message is diluted. The fact we know about this case is that Diva was riding unsafely. She was riding on the sidewalk and did not stop for a red light. She also did not wear a helmet. As an avid cyclist (over 3000 miles per year), I am always upset to hear of bicyclists being injured or killed, but most often the facts show that the cyclist was riding in an unsafe (or illegal) manner. One cannot expect to remain safe when riding with no regard for the rules. I feel safer when learning that so many accidents are attributed to poor cycling because I can control my own riding, but cannot control drivers. Ranting that the "killer should be charged" is not productive. It might be YOU who one day hits a cyclist who blew through a red light or came flying off a sidewalk - there are plenty of people riding like that in Albany. Drivers cannot anticipate every possible occurrence. The rules are in place to help minimize the number of likely events that need to be foreseen and keep the traffic flowing safely. I agree that staggered lights, especially without pedestrian signals, are a death trap. I agree that the APD do not adequately enforce traffic laws and that the city of Albany is pretty hostile to peds and cyclists (heck, it's not even fun to drive here!). None of this will be changed by one-sided rants that ignore or downplay a cyclist's poor judgment. I also believe that Diva's Ghost Bike should remain in place. It is a monument to her and a reminder to all road users that we must follow the rules and always be on the defensive. I'm no great fan of Channel 9's coverage, but I have no reason to believe they have an agenda in the Betz case. In all likelihood, they took the police story as fact, which they usually do. When stop lights turn red: your supposed to stop. If the bicyclist has been a driver, her car would have been hit by running a red light -- without a question. Cars are even harder to stop then bicycles. Red light running is deadly, and as such is a 3 point violation against your license. The police determined that the light was not malfunctioning, but if it had been, the city would have been liable for a multi-million dollar settlement for fault in such an accident, as happened down in Orange County, NY. Most traffic lights have conflict monitors that turn light to blinking should the light detect that "conflicting" signals are showing. I know it's not the practice of the police to issue tickets in case of driver or bicyclist killed by violating traffic law as there is no way to collect against them or their estate, but it would reinforce the law at least to formally declare a crime or infraction has occurred. I don't have anything to good to say about such a criminal who violated traffic laws. The victim -- the person who had his car damaged by the red-light runner probably didn't even get any compensation from the criminal who didn't have insurance on his or her bicycle. To say nothing of the emotional stress of the victim, who has to go through life knowing that her car struck and killed a red-light running. Maybe bicyclists should be required to have liability on their bicycles, much like we have to have on our cars. The victim should have been able to receive at least some compensation for an accident that was clearly not his or her fault. o I should be viewed as no different then any other vehicle on the road -- a bit maybe one going a bit slower -- that one can pass in a passing zone where safe. But somehow many drivers view bicycles as different then cars. But they aren't. I think this was an accident. A horrible accident. The driver did not want or intent to kill Diva and they must feel horrible. They will feel horrible for the rest of their life knowing they took a life. I think Diva and the driver both made mistakes and to call the driver "the killer" is in bad taste. Diva did not live her life in a nasty manor and this is not helpful to friends or family to read this banter. Let her rest in peace and let the the driver move forward with their life. Accidents happen....when we grew up you just went out on your bike..no helmet, id , or major thought involved . Abusing the driver is not going to bring Diva back. If you are indeed, as you say, a friend of Diva's, then I am very surprised that you are not concerned about others dying the same way she did in the same exact place. One person after Diva has already died. How many more? It's this attitude, "Let's forget about the problems that hurt us and move on." We duck our heads instead of fixing our problems, and that's why so many things don't ever seem to get better. I was commenting on your referring to the driver as "The Killer" and all of your inflammatory wording which makes for a juicy story...right? I did not say the area or light should not be looked into. I did not say to "forget"..I said to move on....not the same thing. For the record I think the bike should stay there. I just find your "Salem witch hunt" attitude towards the driver offensive and apparently so do the other commenter's. I don't like the way the news tried to blame Diva and I don't like your nasty rant about the driver..as I said..this was a horrible ACCIDENT. The word "accident" implies that the event was accidental, that it could have happened anytime anywhere. This was no accident. 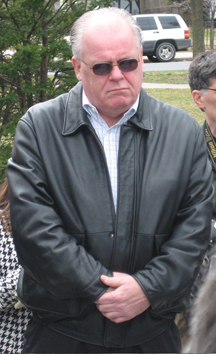 The City of Albany created the conditions for Diva's death and also for Mr. Betz' death. As for the culpability of Diva's killer, perhaps she was indeed blameless. The available facts do not point that way, but it's possible. But we will never know for sure. I say that the driver of a vehicle that weighs several tons has a obligation not to mow down unarmed citizens. It's called personal responsibility. Could that be me killing someone in a moment of inattention? Of course. But more likely I see myself in Diva's place, receiving the death penalty because I was not armed with an automobile. The next victim may very well be you. What "facts" do you have that the rest of the world doesn't know about? Diva ran a red light and was riding on the sidewalk. Are you suggesting that motorists stop at every intersection regardless of the signal's status and confirm that there are no people lurking in the bushes ready to pounce into the street? You'll probably reply with a comment about how far Diva was thrown. 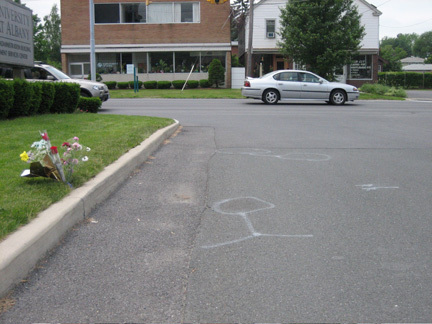 Guess what: the police routinely measure that, as well as any skid marks. Physics will show how fast the car was traveling. There is a LOT of momentum in a minivan going even 10 mph and it will send a 110 pound person quite a long ways! All road users have a responsibility to follow the laws; they are not there just for the cars. Riding or walking with disregard for the rules will often result in tragedy, and you are right: it's not an accident. The person breaking the law is at fault! 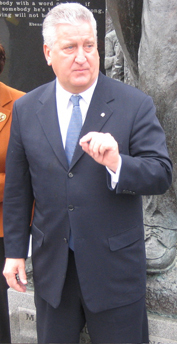 Your inflammatory rhetoric will not help to bring positive change to Albany. In fact, you hurt the cause: people will label you a nut and lump the rest of us in with you! The city isn't a party to murder, that's simply an absurd and frankly ignorant position. I lived there years ago and walked to SUNY, and yes, Western Avenue in that area is not pedestrian friendly at all. It should be reduced to a single lane with a center turn lane, and traffic calming should be incorporated into the design. But poor road design isn't tantamount to murder, and the driver didn't pull out of her home in what you call the 'suburban ghetto" with the intention of killing anyone. It was an accident. Yes, George, I am a nut. I am familiar with that label, and plenty of nastier ones that I will not repeat. That leaves the light. We can reasonably surmise that Diva did what most riders in the City do, which is look at the traffic first and the lights second. The reason this is done is simple: a bicycle rider can't trust the autos to obey the signals. A mistake here can be deadly. As for evidence for these assertions, I invite anyone to spend a few hours some sunny Saturday in downtown Albany in one spot observing the bicycle riders. Should Diva have been more careful? Yes, of course. So only one question remains. Did the minivan driver have responsibility to watch for the following: a) Diva on her bike b) an Albany bike cop c) a parent with a small child and a baby carriage, d) an elderly woman caught in the intersection, e) you? The fact is, the minivan can kill any of those named above. None of the above named could do more than dent the minivan. Therefore, the burden of greater responsibility falls onto the minivan driver. As for the City, they know there is a repeat problem at this intersection, so they need to fix the problem. If they don't then they are also responsible. One last thing. I sense that a lot of people more readily identify with the minivan driver rather than with Diva. This is perfectly understandable, most of us drive autos but only a few ride bikes in traffic. Is that what's going on? This is a tough, tough, incident to discuss because the animosity between drivers and bikers is all too common. My husband is a triathlon athlete and bikes all over the county. He has had cans thrown at him, people who have swerved towards him to scare the crap out of him and all sorts of other problems. Why? he will be the first to tell you that he rides close to the road edge, where required, and is cautious of traffic. He says that often, even as a seasoned biker, he notices that many bikers blatently ignore the right of way,and ride in the middle of the road because they feel that cars should just go around them. Many of us have followed those bikers in their high tech outfits and streamlined helmets, haven't we? Have you ever been annoyed? Please understand that I am not in any way claiming that is what Diva was doing. but I did hear she read that she was not following traffic laws. My point is that there is a lot of animosity between drivers and bikers. the state or county should try to get a grant to put public information out there for bikers and drivers alike so they know what the law is. bikers are required to follow the same devices drivers are and they are required to stay in a bike lane. if no bike lane is available they are required by law to stay as close to the shoulder as possible. Drivers need to respect that space. It would be interesting to see what many bikers feel they are allowed to do under the law. My husband follows these rules. He does not try to "own the road" (and I am not saying this was Diva's issue at all!) what my point is, is that most of us do NOT know what the laws are when it comes to sharing the road, and that is causing a lot of anger. First, "It's a terrible shame" has posted an all-too-common misunderstanding of NYS vehicle law: bikes are NOT required to stay as far to the right as POSSIBLE, but as far to the right as PRACTICAL. Even though both words begin with a "p" they mean completely different things. The sides of the road are usually cluttered with all sorts of debris that is hazardous to a bicycle. Parked cars are hazardous because drivers too often don't look before they open their doors. Staying too far right also makes you invisible to cars at intersections, where most car-bike accidents occur. Riding in the gutter also gives you absolutely no room to maneuver should something unexpected appear, like a squirrel or shaded pothole. Remember that "seasoned" cyclists are traveling over 18 mph on the flats and as fast as cars on descents. It is dangerous to ride that fast with only inches between you and the road's edge, and suicidal to do so at over 30 mph. In city traffic, the roads are often too narrow to ride safely anywhere but the center of the lane. By "owning the lane" you prevent cars from trying to pass you unsafely. This isn't a problem with polite, intelligent car drivers because they realize that a bike will travel at the same average speed as they will in city traffic. It's the impatient drivers who are the problem. As for having drivers harass cyclists, it is all too common and has little or nothing to do with drivers being mad at cyclists because of experiencing poor cycling behavior. Think about it: the average driver sees many more rude drivers in an hour than rude cyclists in a year, yet they don't try to intimidate other cars. People who harass cyclists are simply cowardly assholes that like to bully people. The jack-asses that shot paint balls at the Tour de Habitat charity riders last fall where a great example of such fine humans. It is the drivers of NY that do not know vehicle law. We need to look to Kansas (really!) and copy what they have done: one needs to pass a written exam to renew their driver's license, and there is at least one question regarding bicycles. Many cyclists would also learn a thing or two from such an experience. Again, you make some good points, and this time they are not as diluted by inflammatory rhetoric as earlier. Still, you seem to think that drivers should bear the greater responsibility because their vehicles are heavier. That is simply illogical. As I stated earlier, it is not possible to foresee every possible circumstance while driving - or riding. The laws are there to reduce the possibilities, thus giving ALL road users a decent chance of predicting the behavior of others. When somebody - car, bike, ped - ignores these rules, chaos ensues, often with tragic consequences. The fact that many cyclists (and peds) in Albany ride without regard for the rules does not make it right to behave in such a manner. It means that more cyclists are going to get hurt in this town than in a place with more learned riders. A driver cannot be expected to foresee surprises like bikes running off sidewalks, and the law agrees with me. In answer to your last paragraph: I bike more than I drive, by quite a wide margin. I ride daily in downtown Albany (even in winter), but I put thousands of miles in on rural roads each year. It is simply unreasonable to hold drivers accountable for the actions of lawless cyclists. Cars are more deadly than bikes, and that is why the burden is on the CYCLIST to ride defensively. If you would like to learn more about ghostbikes projects, which are a worldwide grassroots effort, go to www.ghostbikes.org. This website is a community effort and depends upon everyones support and help. I suggest that cyclists in Albany need to be a lot more assertive of your right to safe passage on the roads. Its illegal in NY State for drivers not to yield to pedestrians or cyclists period! Let them know! The killing of a cyclist or pedestrian is never an accident. Dan, thank you for this post. As you commented above, how many more people have to die? Unfortunately, it feels safer psychologically for many people to blame Diva than to face the important issues you've raised here. To the minivan driver who doesn't want to look at the ghost bike every day, consider how those of us who are grieving every day feel. Was one of your loved ones ever killed? If so, you would understand that these types of memorials are extremely meaningful on many levels. Furthermore, as others have suggested, you are free to take an alternate route to work. Everyone at SUNY knows that you can avoid Western Ave by taking University Drive East. 6 p.m.: Ride of Silence (Albany). Start location: Corning Preserve (downtown Albany). 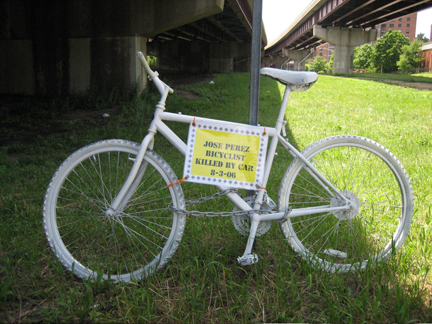 12-mile route will pass ghost bikes commemorating the deaths of 3 local cyclists. For more details, visit www.rideofsilence.org or email Claire Nolan or Sue Troll.